The thing I really liked about this cookbook is that most of the recipes are fairly simple to make and don’t have a ton of ingredients. Plus, there are photos with many of the recipes and they are big and beautiful. This cookbook is divided into several sections including cocktails, pasta appetizers, entrees, side dishes, sauces, and desserts. There are also tips for entertaining included in with the recipes. Some of the favorite recipes from the author are the Chorizo Chocolate Tapas, Creamy Peas with Tarragon, Potato Balls Sauteed in Butter, and Baked Peaches with Cointreau. A few of my favorites from the book were the Venus Bellini, Fettuccine with Crab and Cream, Duck Burgers with Onion Marmalade, and the Pear Tart. To date I have tried three recipes from this cookbook and all three have been easy to make and turned out great. The Venus Bellini is delicious with all the fruit flavors in it. The Pear Tart was simple and delicious, though it’s more like a cake then a tart. 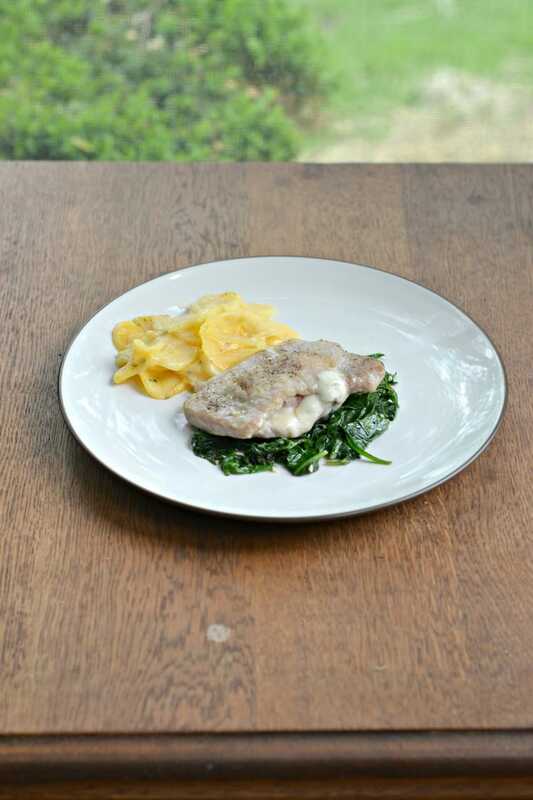 Then I made the Pork Chops Saltimbocca with Sauteed Spinach. This is an elegant dish that would be perfect for company and it’s the recipe I’m sharing with you today. So in all, I found this cookbook to be a great resource for a mid-grade cook. There are some recipes that require a bit of skill, but nothing is too difficult. 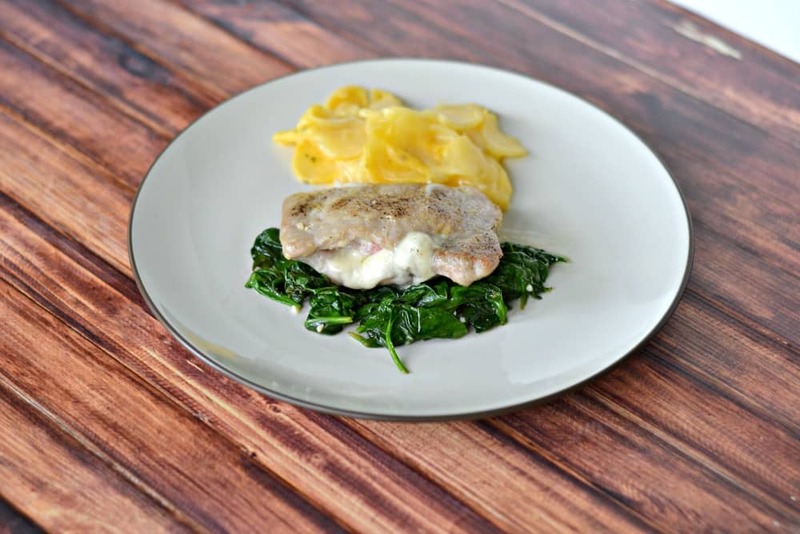 While a few of the recipes are lengthy and would take a lot of time, most are fairly simple. I give this book 3 ½ out of 5 stars. Position a rack in the middle of the oven and preheat the oven to 450 degrees. 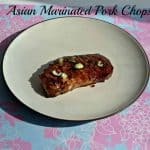 Cut a deep, wide pocket in each pork chop. 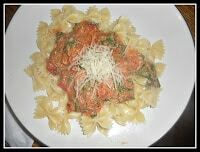 Sprinkle half the sage into each pocket and stuff each pocket with the cheese and prosciutto. Pat the chops dry and season with ¼ teaspoon of salt and pepper. Heat 1 tablespoon of the oil in a 12 inch, cast-iron skillet over medium high heat until it shimmers. Add the chops and cook until undersides are golden, about 2 minutes. Turn the chops, transfer the skillet to the hot oven to finish the cooking, 4 to 5 minutes, or until cooked through. While the chops finish cooking, heat the remaining 1 tablespoon oil in a 5 quart pot over medium heat until it shimmers. Add the garlic and saute for about 30 seconds. Add the spinach and cook, covered, stirring occasionally, until wilted, about 30 minutes. Season with salt. Transfer chops to plates. 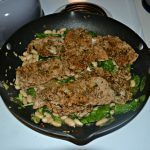 Add the butter and lemon juice to the hot skillet, stirring and scraping up the browned bits on the bottom, then pour the pan sauce over the pork. 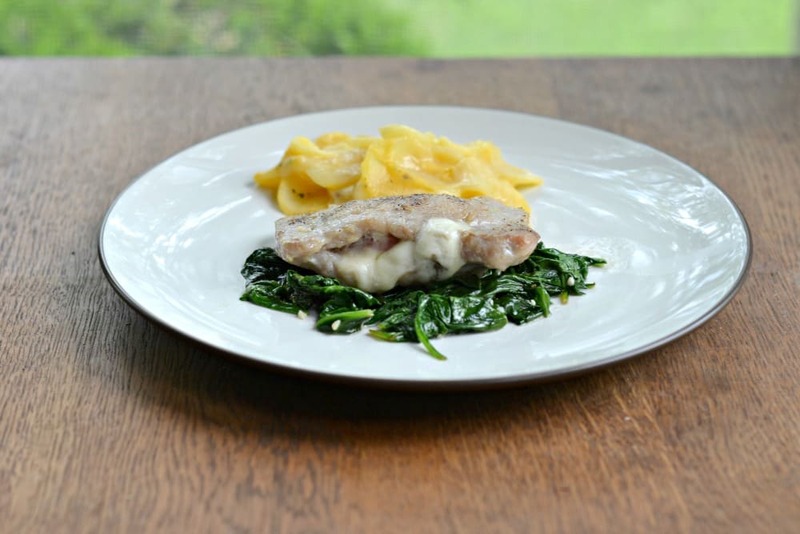 Serve with spinach. Source: Collins, Jackie. 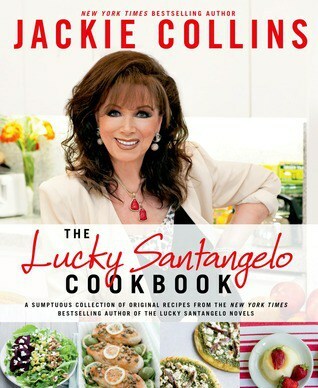 The Luck Santangelo Cookbook. New York: St. Martin's Press, 2014.